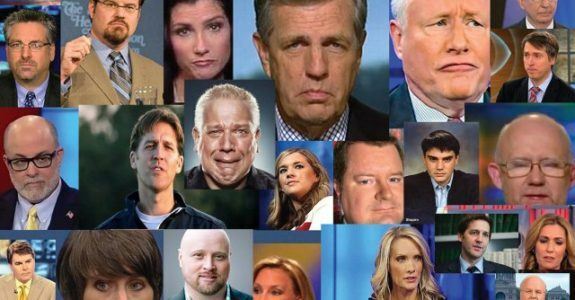 Bellyaching NeverTrumpers, that group of self-focused “Conservative intellectuals” and “thought leaders,” have done everything possible to sabotage GOP Presidential nominee Donald Trump’s campaign. Short sighted and childishly selfish, they could have helped the Republican nominee construct rock-solid conservative plans… if they were indeed, as Conservative as they profess. “By conservatives,’ I mean actual conservatives, the people who believe in limited government, a strong national defense, American federalism, and who reject the nanny state in all of its smothering incarnations,” wrote Tom Nichols, a NeverTrumper. “However, NeverTrumpers never actually address the millions of Trump followers,” said my good friend and colleague Lance Izumi. “Condescension is not a strategy,” he added. Indeed. Who are the NeverTrumpers? Everyone at National Review Online, Political Consultant and California #nevertrumpchairman Rob Stutzman, Erick Erickson, David French, Jonah Goldberg, former RNC communications director Doug Heye, Ben Howe, former RNC chairman Ken Mehlman, GOP consultant and former Hill columnist Cheri Jacobus, Mitt Romney’s top 2012 strategist Stu Stevens, and several who shall remain nameless so that I may avoid more hate mail from a few friends. “I can live with four years of Hillary Clinton before I could ever live with one day of Donald Trump as president,” said Sacramento political consultant and lobbyist Doug Elmets. Doug Elmets, who has based his professional creds entirely on being a former Reagan White House staffer, who claims this will be his first vote ever for a Democrat. But The Daily Caller discovered he has been donating to Democrats since 2004. “When I see him bullying people trying to divide us, that’s not the kind of country I want my kids to grow up in, so I’m putting party aside and voting for Hillary Clinton,” Elmets says in a Hillary ad designed to attract GOP voters. “I don’t agree with Hillary on everything, but know she has the judgment and the experience and she knows you need to bring people together to get things done. Elmets should put his vote up against the 240 esteemed former Reagan advisors that support Donald J. Trump for President, and still vote Republican. It’s truly shocking how frightened so many in the establishment and consultancy class are of real American democracy in action. The will of the common man is dismissed and he is sneered at as an ignorant idiot, while the political consultants tout their own political savvy and powers of persuasion. Ronald Reagan didn’t fear the common man, and neither does Trump. “Perhaps Elmets sold his soul to the DNC. I hope whatever he is paid, or Washington DC political appointment he gets in return is worth it,” I wrote in July, about political corporatism. Any Republican who claims to care about the future of America cannot cast a vote for Hillary Clinton. And those who do are exposing their more mercenary and corporatism motives. Most of the Consultancy Class who’ve been paid over the years for running campaigns and political consulting have run the gamut within the Party structure: Rockefeller to Reagan—although they’ll all tell you they are Reagan Republicans, just as Elmets and his ilk does. These NeverTrumpers who are trying to protect their economic behinds, stand for nothing more than Washington, D.C. business-as-usual. Because they always have plenty of work, regardless of who occupies the White House. That is… until Donald J. Trump became the leader of a movement, and won the Republican primary. Mitt Romney, the last Republican Presidential nominee, never had a movement, and never defended himself against the left’s attacks. His handlers now admit this is the reason he lost to Barack Obama in 2012. The average voter sees Trump defend himself against the left, and believe he will also defend their interests. After eight years of President Barack Obama and his anti-Americanism, Trump’s slogan “Make America Great Again” gave his supporters real hope that her greatness could be restored, rather than continuing the “blame America first” leftist mentality, and their theme that America is no better in the world than other countries. Trump’s conservative platform of protecting America’s strength and independence with a strong, well equipped military, protective tariffs, subsidies for roads and infrastructure, and school choice to reverse inequities in education and failing government schools, is a far cry from Hillary Clintons’. Hillary sees foreign policy not in terms of national interest, U.S. security and safety, but in terms of Clinton personal profit. The Clinton’s have already demonstrated they know how to get their hands on wealth that does not belong to them, and exercise power over other people’s lives the same way a gang does, explains Dinesh D’Souza. “We’re dealing with Bonnie and Clyde, a kind of criminal racket that these two people run, and they’ve been on the make since the Arkansas days, continuing through the White House, then Hillary renting out American foreign policy. 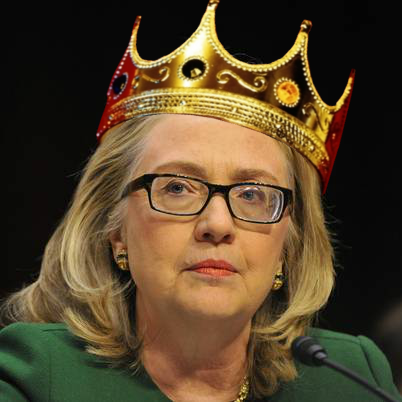 I think Hillary’s goal, very different than Obama’s, is kind of to be the crime boss of America. She wants to run America kind of the way that Al Capone would like to run Chicago,” D’Souza said in an interview. Trump has amassed some of the best and true Conservative advisors, including The Heritage Foundation, George Papadopolous and Walid Farres on foreign policy, General Michael Flynn on military, economists Peter Navarro, Steve Moore and Art Laffer on tax and trade policy. Trump has education scholars, cybersecurity advisors, healthcare experts, and a bevy of others who are experts in their fields. The NeverTrumpers, self-described Conservatives, ersatz intellectuals and thought leaders, are the same group of politicians, lobbyists, consultants and think-tankers who have stood by fecklessly and watched the Rise and Fall of Obama’s America: $20 trillion national debt, high inflation, economic stagnation, unfathomable runaway federal regulation, political correctness on steroids, open borders and unchecked immigration, and apparent sympathies to radical Islamic terrorism. They have watched President Obama even disarm our military unilaterally, while America’s enemies have built up their militaries. These same NeverTrumpers claim that Donald Trump isn’t really a Conservative and will move left to liberal policies and people as soon as he is elected. What’s Trump going to do? Fire all of his Conservative advisors and bring in the lefty Brookings Institute to advise him? Will he replace Steve Moore with Thomas Friedman? If Trump is liberal, he is a classic liberal: someone who believes in the liberty of the individual, free of government intrusions. Listen to what he says: capitalism and freedom work together, and are not separable. Hillary Clinton, aka The Baroness von Chappaqua, wants to continue on the path forged by leftist Obama and expand on the radical un-American policies, which led America to this dangerous place, by becoming Her Royal Highness of the 50 American Colonies. Many Nevertrumpniks say they will vote for her. This is why it’s important to get out of D.C., away from White House cocktail parties, away from state Capitols, and meet some regular people who don’t wear Brioni and Dior suits, carry Hermes bags, drive Masseratis and Teslas, and are Harvard and Yale alum. National Review Online’s Jonah Goldberg even advocated last week for independent write-in presidential candidate Evan McMullin. “The McMullin scenario works like this: If no candidate manages to win 270 electoral votes, the electors — i.e., the people who cast electoral votes on December 19 — will have handed the whole thing over to the House of Representatives to decide, as they did in the election of 1824,” But what about McMullin? Here, the vanilla rule might apply. Vanilla is one of the most popular flavors in America not because it’s everyone’s favorite, but because it is the least objectionable to the greatest number of people. There are probably no Democrats who wouldn’t prefer McMullin to Trump. There are almost certainly no Republicans who wouldn’t prefer McMullin to Clinton. Picking the least objectionable option is often the essence of statesmanship. If 26 state delegations pick the least-bad option, McMullin becomes the first Mormon president. So what? I remember Goldberg criticizing Obama for running government like an Emperor, and now he’s advocating stealing the election from Donald Trump. How is he any different from Clinton handler John Podesta, a prolific emailer exposed by WikiLeaks, which has released more than 35,000 of Mr. Podesta’s personal documents. Are these “Conservative” consultants, politicians, writers and think-tank ersatz intellectuals hedging their bets for the election? Are they that easily bought, that they don’t care if they areresponsible for the consequences of a Hillary presidency? It would appear that way. Jeb Bush spent $150 million and gained just three delegates. How did that work out? Former House Speaker Newt Gingrich months ago warned “Never Trumpers” that not supporting Trump means you’re in love with the past and look to write off the future with his opponent Democratic presidential nominee Hillary Clinton. Nevertrumpers, everyone at NRO, and well-endowed think tanks are as disconnected from the reality of life in America today as are the GOP leadership. They sneer that Donald Trump is the most inarticulate presidential candidate ever, and condescend at what they refer to as his simplistic political arguments. As one article commenter correctly pointed out recently, Trump has not written any treatises in political philosophy, but neither did Thatcher or Reagan. If you want to know what Hillary Clinton really thinks, you have to read her Wikileaks emails. Rockefeller Republicans and liberal media said Ronald Reagan was also just a dumb shlub who did not understand the subtleties of government. As voters decide the best plan forward for America, they must question Hillary’s coercive centralized planning scheme, which will certainly destroy individual liberty, as history shows, versus Trump’s capitalism and freedom plan, which has benefitted America the most, as history definitely shows. Everyone of the never Trump group will be voting for guess who. That’s right, Donald Trump. Every single one and Trump, God bless him, will be a very busy man during his first 100 days. So we’re glad y’all are on board officially and before you start making public addresses we’d appreciate it if you could be sure that your head is completely and totally removed from your asses. Trump has a plan and it’s important for you to embrace that plan prior to making any public addresses that reference Trump.